We unite key community representatives to understand needs, secure resources, and strategically invest those resources to measurably impact the quality of peoples’ lives. We will serve as a unique leader in bringing together partners to create long-lasting improvements in the communities we serve. We will be recognized as an agent for change, creating opportunities that move individuals and families to self-sufficiency, while eliminating barriers for future generations. Caring – We are supportive and compassionate. Collaboration – We work together productively and honestly, as an organization and with our community partners. Commitment – We are committed to the communities we serve, our partners, and excellence. Community – We are responsive to our communities and are the stewards of important community resources. 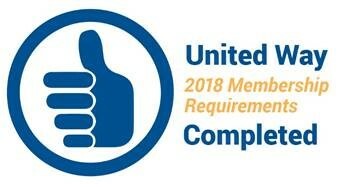 Inclusiveness – We embrace the diversity of our community and respect the dignity and uniqueness of every person including donors, staff, volunteers, partner agencies, community partners and consumers of partner agency programs. Leadership – We present a strong, united voice that inspires people to get involved in building a better, more self-sufficient community. Results – We are results driven. We are purposeful in our actions and adapt to new ways of doing our work while being accountable to stakeholders. 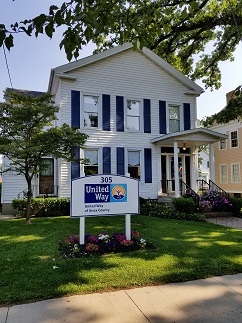 Adopted by United Way of Knox County's Board of Trustees in 2012 as part of the organization's Business Plan for 2013-2017. In our effort to be accountable to the community we serve, we are proud to make available to the public a copy of our most recently filed IRS Form 990 and our most recent Audit Report. These documents represent our organization's financials for the most recently audited year. We are a transparent organization and would be willing to answer any questions that you have about how funds are raised and spent to benefit Knox County residents. Please feel free to contact us anytime to learn more.